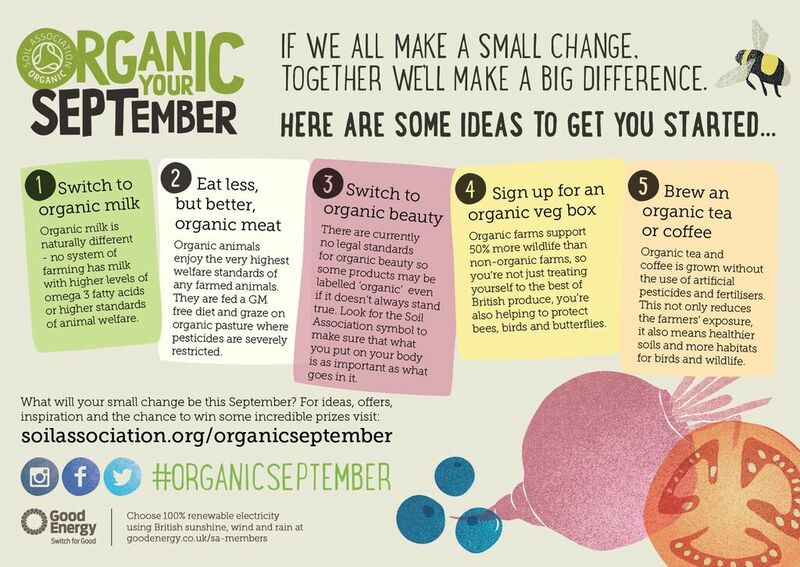 So what has everyone been doing for organic September? Buying a veg box or eating better quality meat perhaps, maybe switching the normal eggs and milk that you buy to organic. For a while I have been considering all of the above and more, paying particular interest in the quality of meat that I buy and of course where I source it from. Beginning early last year I tried to switch where possible to British produce, taking my time when shopping and considering what it is I was really buying. This was very easy on some items such as fresh vegetables and meat and rather more difficult on others. Something that this contributed to is seasonal eating, eating things at their freshest and best. I suppose this was the first step in moving towards organic produce. Like almost all other people finance is a deciding factor in what I buy, would I really pay more something with an organic label on it? Well, yes is the answer, I would. I'd know that it has been grown in a way that I'd expect it to be if I had grown it myself. I'd know exactly what I was putting into my body and I'd know that I am contributing to the whole cycle that is organic growing. In terms of organic meat in my opinion there can be little argument against this, the standards far exceed other in terms of husbandry and diet. Again for most of us it comes down to finance, but rather than eat meat everyday what we do buy we make it last, make the most of it and appreciate it for what it is when we do have it. If you are buying the best tasting and most interesting vegetables then why would you need to eat meat everyday? 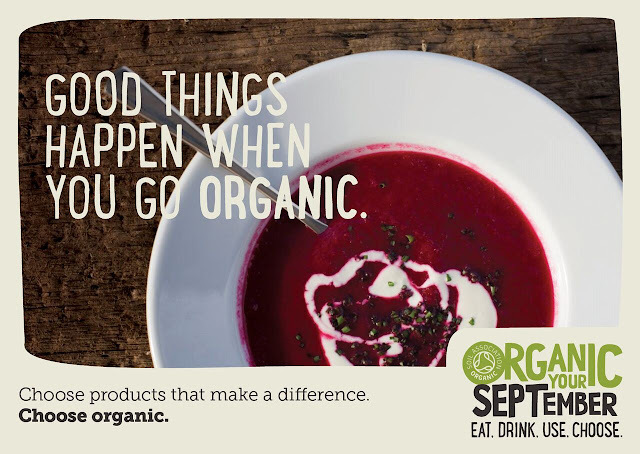 So what have I done for organic September? 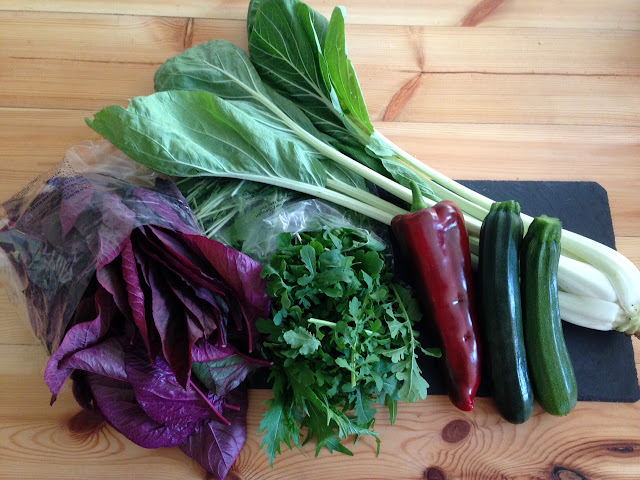 We recently moved house and decided that now would be a good time to start having a veg box delivered. Where we were previously was a little remote so this wasn't an option . We looked at the usual companies Riverford, Abel & Cole but in the end stumbled upon a small local supplier less than a mile from the house. As a side note there is some very interesting reading on the Riverford website with regards to responsible sourcing of food that certainly made me reconsider a few ideas that I'd previously had. 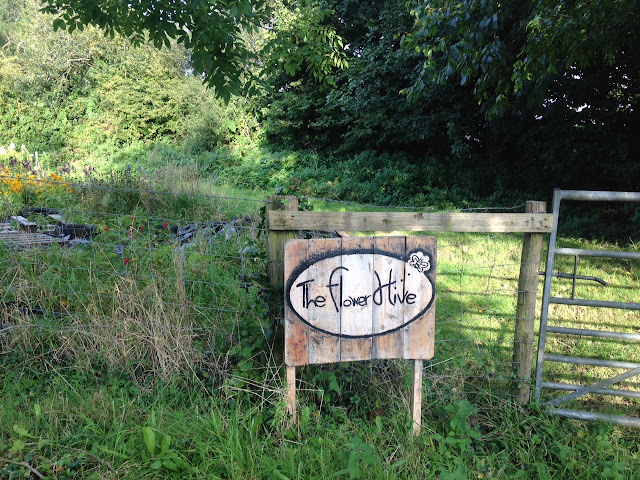 The veg box is supplied by a local farm called Pencoed Growers, they are a cut flower supplier who also grow their own veg onsite. We order as little or as much as we like on a Monday and collect on a Wednesday. Each weekend we receive an email containing availability for the week with any new items that have become available, alot of which you just can't buy in the shops. This week we have had the biggest pak choi you've ever seen and red amaranth a sort of red spinach, all delicious of course. There's plenty more information on the Soil association website about small changes that you can make. If like me you've been thinking about going organic then now is the time, you won't look back.